Chainbill Splatterpus pre-production is nearly complete. 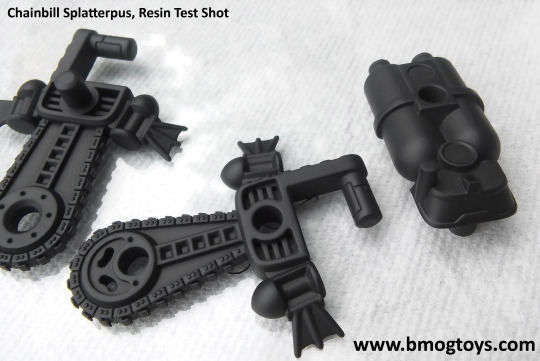 We’re going to be getting injection molded samples from Nonnef Productions shortly, but in the meantime, enjoy this picture of a resin test shot of the production molds. We’re also proud to announce that each Chainbill Splatterpus will come with a set of foil decals by Reprolabels! These figures will make their convention debut at TFCon in October, and we will be announcing a drop date for purchases through our online store as soon as possible.